When Grandmother can’t make the trip to the family’s annual Chinese New Year family gathering, Ruby decides to come to her. With a special homemade gift in tow, she sets off on a adventure to Grandmother’s house, meeting different Chinese zodiac animals on the way. 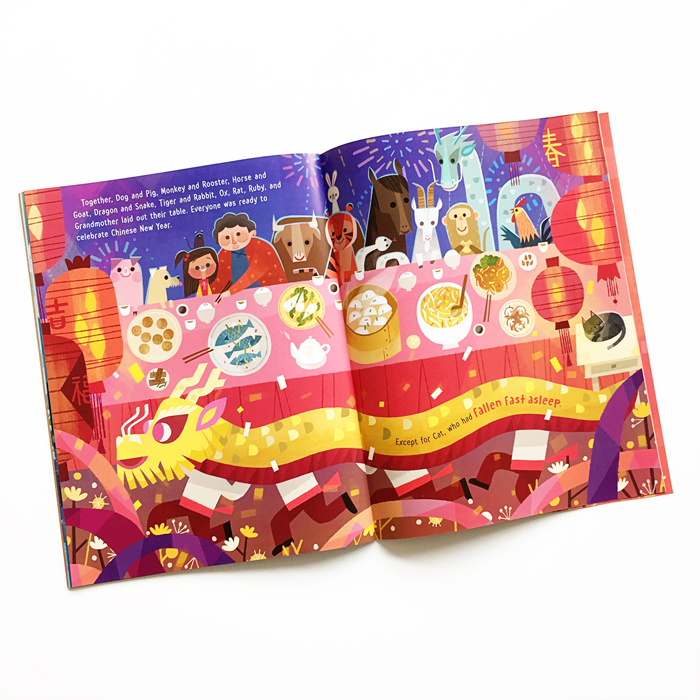 We’re loving the bold, bright illustrations and this lively story about traditions, family and new friends. 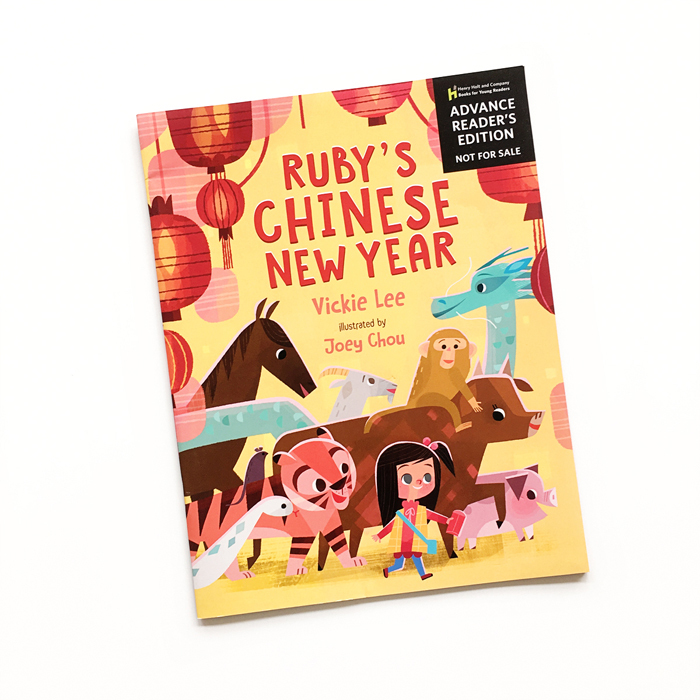 Ruby’s Chinese New Year was written by Vickie Lee, illustrated by Joey Chou and published by Henry Holt and Co.